Wowsey wow wow! What a busy and long show this week. Guy performs minor surgery on hard drive enclosures and is SHOCKED he can’t buy stuff on Easter Sunday. Gaz goes to the Looe with friends (Sounds like an app to me) and wants to know what’s going on with F1. The Contest sponsors get some loving with Guy and Gaz reading marketing script but unable to do it with a straight face. Oh, and in minor news, some half a million plus Mac users have been hit by malware and are part of a bonnet…WHAT?!? No worries though because the GMEN are here to help (God help us all). Find scripts at the following links to check your Mac. 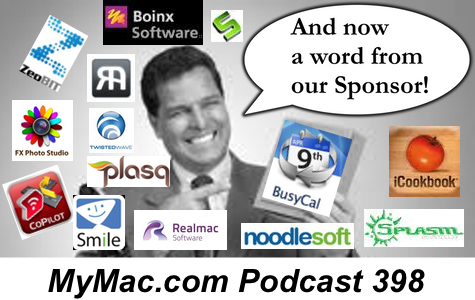 Just go to FaceBook and like the MyMac Podcast page and…that’s it! No other barrier to entry.